A full range of trucking and inter modal services provided by the group companies through selected and qualified sub-contractors i.e. city pick up as well as long distance truck transportation. 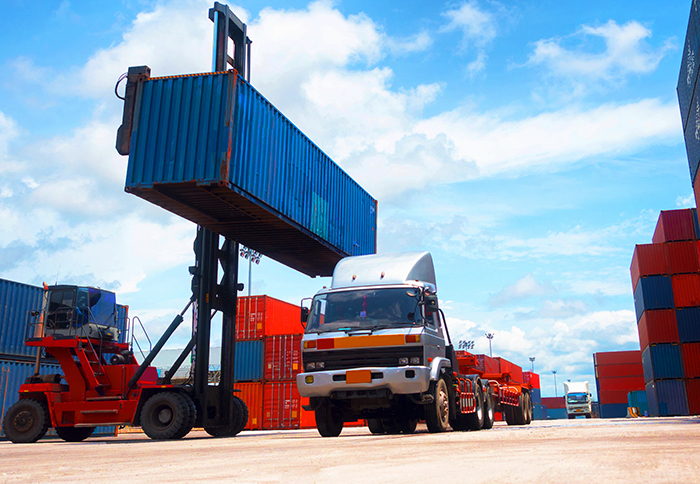 Our client can rely on our efficient transportation services and remain assured of on time and safe delivery of their consignments, after clearance of the import goods through customs. We also deliver the goods to project sites /Factory of importers etc. through employing surface transport. Our transport arrangements cover all parts of India. We also have the facility to transport the basic normal cargo.